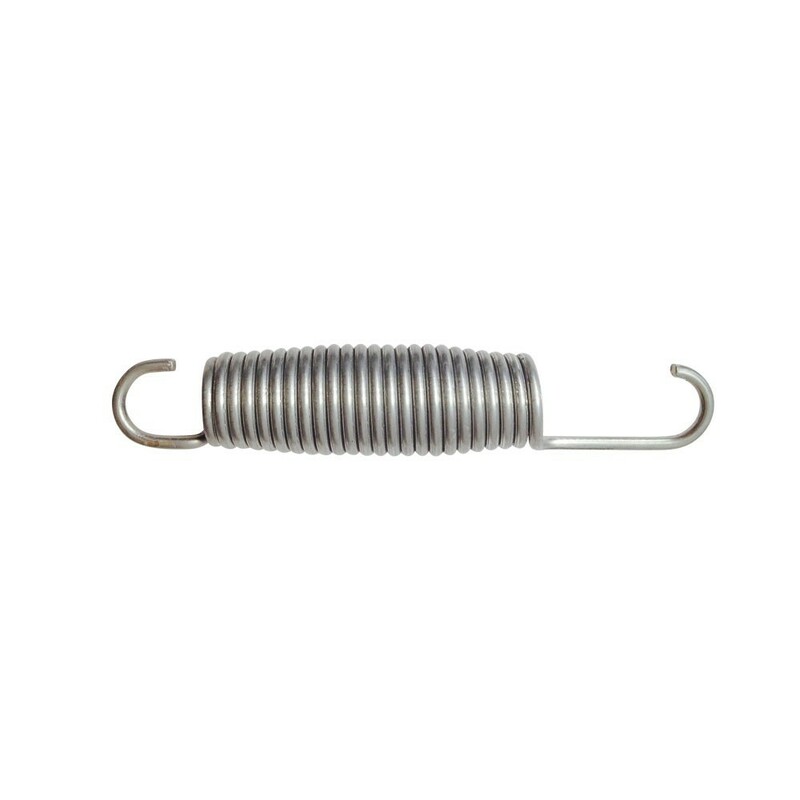 Trampoline spring of 140 mm in length. The springs on your trampoline are essential for jumping. Without the springs, a trampoline would not be dynamic and bouncing would be impossible. With time, springs can become distended and your bounce can be unsatisfactory. There is an easy solution to give your trampoline with 14 cm long springs back its great bounce: replace a few springs. - This spring measures 14 cm in length, has a silver colour and a complete corrosion protective coating. - The steel wire is 3.2 mm in diameter and once coiled, the spring has a diameter of 26 mm. The protective cover guarantees that you can leave your trampoline outside all year round. - This spring is easily fixed on any trampoline. The hook designed to be fixed onto the jumping mat is more curved, ensuring excellent hold, whereas the other hook is more open, meaning that it can easily be fixed to the framework of your trampoline. These hooks are practical and have also been designed to maximise power on your trampoline. NB: We recommend this spring to anyone using a recreational trampoline with springs of 140 mm in length, hooks included. Other lengths are available, please contact us if necessary.